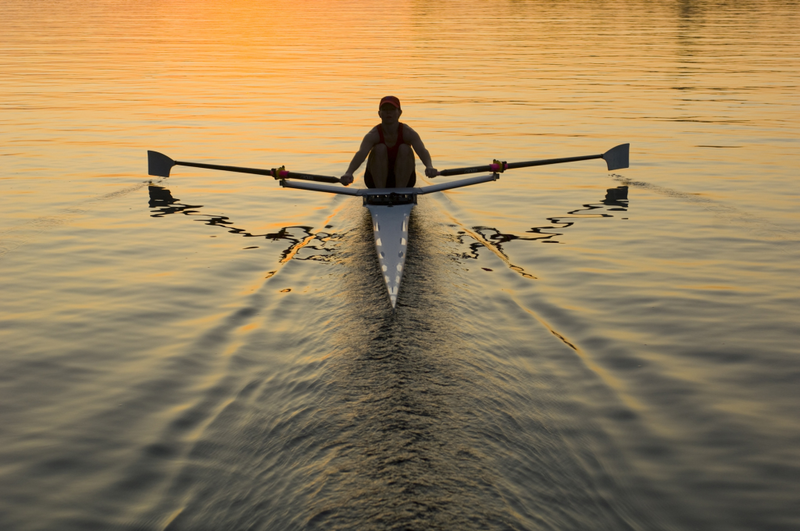 Rowing is an endurance sport where a backward-facing single rower or a team of rowers use one or two oars to propel themselves toward the finish. 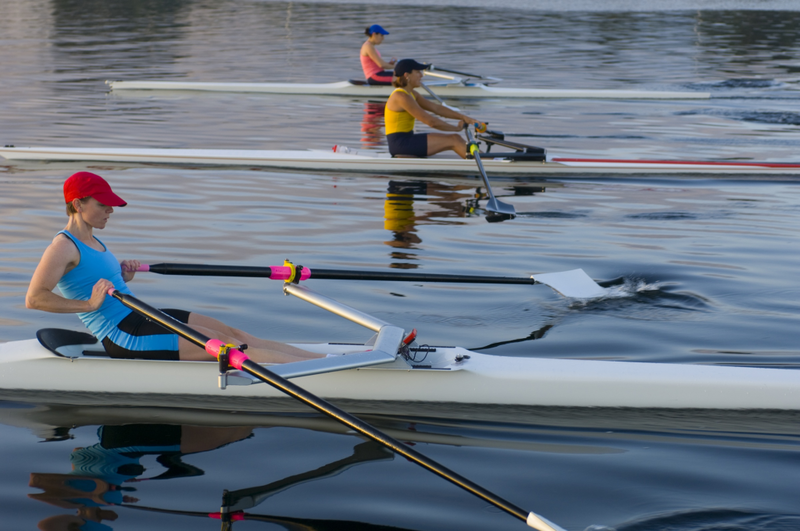 Rowers are generally tall and with a strong body-build. In some countries the sport where every rower has two oars is called sculling.